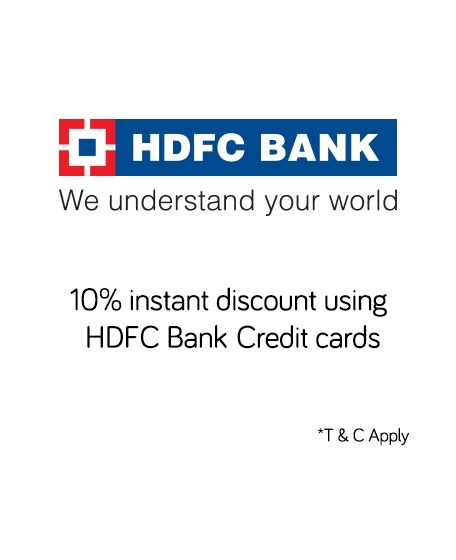 Snapdeal HDFC Bank Credit Card Offer Get 10% Discount + 5X Reward points every Friday! Use below discount coupon and your HDFC bank credit card to make online purchases at Snapdeal.com and get Extra 10% discount on purchase of Rs 3500 and above. The offer is valid on every Friday only on the landing page which opens upon revealing the coupon. Offer valid on all snapdeal platforms, Website , Mobile site and Snapdeal mobile app. Maximum Discount is Rs 750. If due to any technical reason or a time out; a transaction fails; the order is cancelled or cannot be completed for any reason; it may take approximately 30 minutes for the limit to get reinstated. Offer not valid on Jet Cards.